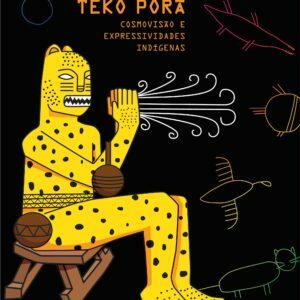 In the second edition of the project Brazil: the margin, the Centro de Artes da Universidade Federal Fluminense (Fluminense Federal University Arts Center) will be open, from April 24th to 30th, to Teko Porã, which in Guarani language means well living in the community. 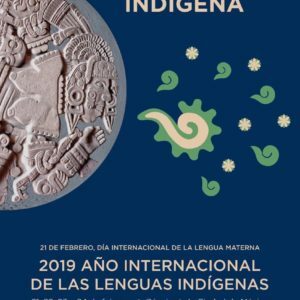 Notably in this year 2019, declared by UNESCO as the International Year of Indigenous Languages, we reiterate the words of Prof. José Bessa Freire: “A language contains in it all the territory where it is spoken, in the means that it classifies, names, describes, evaluates, hierarchizes and gives meaning to everything in it flora, fauna, geographical accidents, enchanted and disenchanted beings that inhabit it, as well as beliefs and knowledge that reveal the relationship between them”. 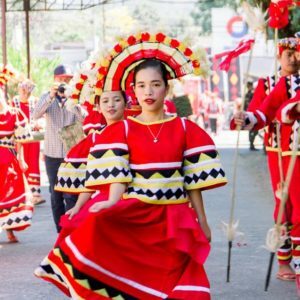 The programming will consist of conferences, debates, art exhibition, seminars, film sessions, concerts and Indigenous Handicrafts Fair. April 24th · Opening Conference: Indigenous ancestry and contemporary dilemmas”, with Daniel Munduruku. · Espaço UFF de Fotografia Paulo Duque Estrada (Paulo Duque Estrada UFF Photography Space) ”Tka dahêmba / corpo terra” (Earth body) – by Edgar Kanaykõ XakriabáApril 25th·SEMINAR - INDIGENOUS LANGUAGES I“Línguas indígenas: cosmologias e culturas” (“Indigenous languages: cosmologies and cultures”) Professor José Ribamar Bessa Freire. ·Minicourse: “Indigenous ethnoesthetics: The Attempts of ‘Non-Indigenous’ Approaches to Amerindian Plastic Production in Brazil” - Professor Wallace de Deus Barbosa ·Conversation followed by musical presentation - Dub For Galdino invites Wera MC and Katú Mirim April 26th· SEMINAR - INDIGENOUS LANGUAGES II·Minicourse: ASCURI - Ñandereko e cinema indígena de direção (ASCURI - Ñandereko and directing indigenous cinema). Short film session of indigenous filmmakers. 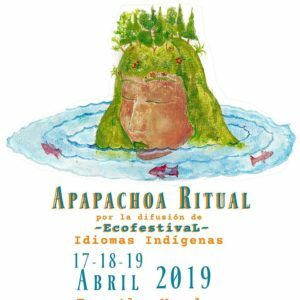 · Show: Brisa de La Cordillera Flow, with disc release Selvagem como o vento (Wild as the wind)April 27th·Indigenous Handicrafts Fair· Sarau of Indigenous Literature · Indigenous MusicApril 28th·Indigenous Handicrafts Fair·Concert: Native American songs - Música Antiga da UFF (Ancient UFF Music) and guestsApril 29th·Projeto Cine Escola (Cine Escola Project): Children's animation shows + Animation Workshop with Daniele Rodrigues·UFF Debate Brasil (Brazil UFF Debate) “Originary women: resistance, poetry and identity”, with Eliane Potiguara, Taily Terena and Renata Machao.April 30th· Minicourse: Do grafismo à arte indígena contemporânea (From graphism to contemporary indigenous art), with Denilson Baniwa.·Closing Conference: “Ipa theã oni: flecha para tocar o coração da sociedade não indígena", (“Ipa theã oni: arrow to touch the heart of non-indigenous society”), with Davi Kopenawa. 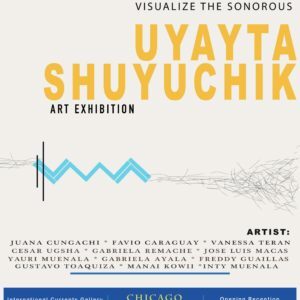 La exhibición artística Uyayta Shuyuchi - Visualizar lo Sonoro reúne obras contemporáneas de artistas kichwas y no kichwas entre emergentes y de mediana trayectoria, de cuyos contenidos e imágenes se desprenden valores simbólicos portadoras de historias, memorias, fantasías e imaginación, y nos aproximan visualmente con el significado metafórico de las sabidurías inmersas en las lenguas originarias. This research will be a great help in the preservation on the language of the Talaandig people. 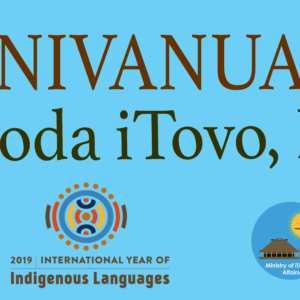 Thus, it can help the young generation recognize and acknowledge their own language and they will not forget where they came from and what is their language. MERENDA SINOIRA with… Leonardo da Vinci ! 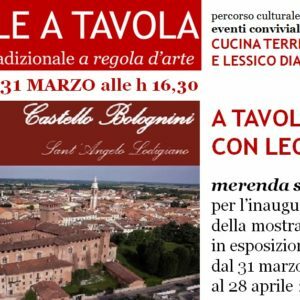 From March 31st until April 28 at CASTELLO BOLOGNINI will be displayed the TAVOLE A TAVOLA collection. The exhibition will be accessible to the public on the opening days of the Morando Bolognini Museum of Art and Antiques", "Museum of the History of Agriculture" and the "Museum of Bread". 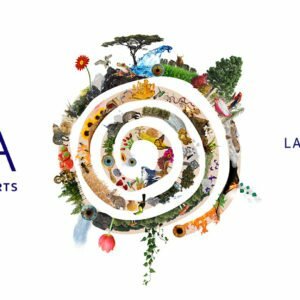 On Sunday March 31st at 3,30 p.m. the usual refreshments that gladden the cultural events will be carried out as one traditional MERENDA SINOIRA, that will present some wine and food specialties of the Lodi and Alessandria regions and, as a tribute to Leonardo da Vinci, the malvasia wine and the montébore cheese, of which the "genius" had knowledge and left testimony. In the meantime, accompanying himself to the lute, Massimo Marchese will interpret the "musical rebus" composed by Leonardo da Vinci. 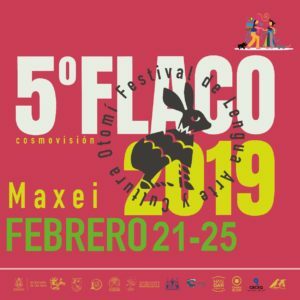 Ndämaxei – Festival de Lengua, Arte y Cultura Otomí.